In the first half of the 20th century an American couple from Kansas named Martin and Osa Johnson captured the public's imagination through their films and books of adventure in exotic, far-away lands...Photographers, explorers, naturalists and authors, Martin and Osa studied the wildlife and peoples of East and Central Africa, the South Pacific Islands and British North Borneo...They explored then unknown lands and brought back knowledge of cultures thousands of miles away through their films, writings and lectures. From 1917-1936, the Johnsons set up camp in some of the most remote areas of the world and provided an unmatched photographic record of the wildernesses of Kenya, the Congo, British North Borneo and the Solomon and New Hebrides Islands...Their equipment was the most advanced motion pictures apparatus of the day, some of it designed by Martin Johnson himself. When the young adventurers left their home in Kansas to explore and photograph these lands, little did they realize that they would provide the world with a photographic record of the African game of unimagined magnitude and beauty...The Johnsons gave the filmmakers and researchers of today an important source of ethnological and zoological material which would otherwise have been lost. Their photographs represent one of the great contributions to the pictorial history of the world...Their films serve to document a wilderness that has long since vanished, tribal cultures and customs that ceased to exist. 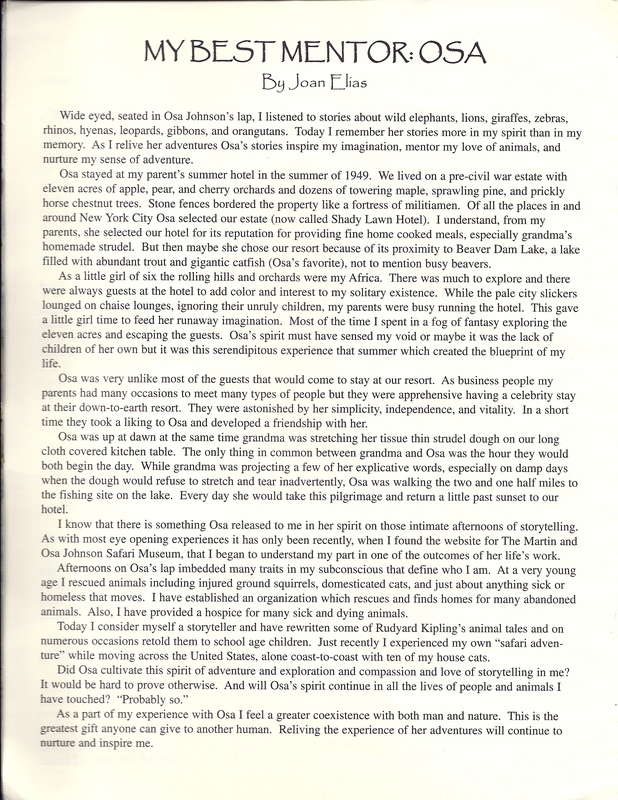 Through popular movies such as SIMBA (1928) and BABOONA (1935) and best-selling books still in print such as I Married Adventure (1940), Martin and Osa popularized camera safaris and an interest in African wildlife conservation for generations of Americans...Their legacy is a record of the animals and cultures of many remote areas of the world which have undergone significant changes. 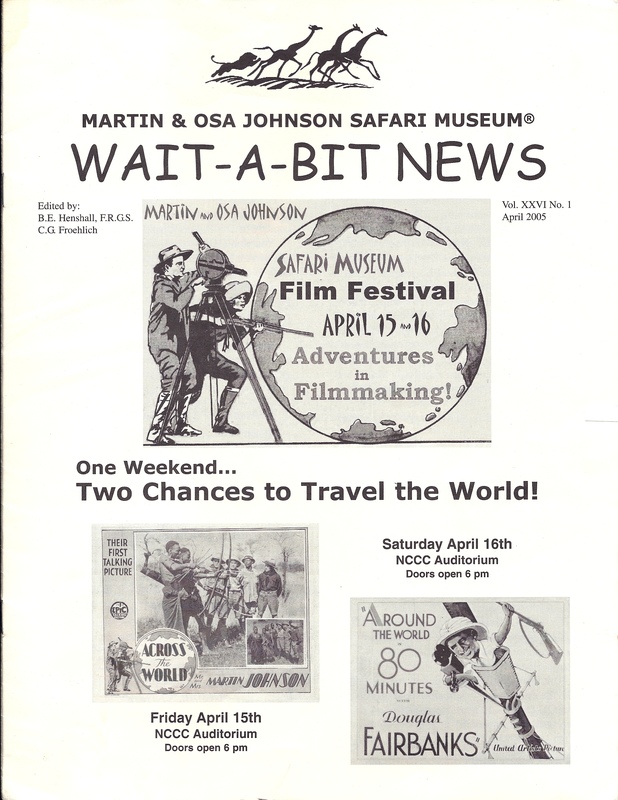 The outstanding accomplishments and legacy of Martin and Osa Johnson - their films, photographs, expedition reports, correspondence and personal memorabilia - are housed here at The Martin and Osa Johnson Museum.